"Some fans of yours want to have dinner with you", explained Whipping Girl. Fans? You mean the type that go back and forth with 3 speed settings? No, she meant actual fans of the blog. Oh... Honestly, I don't take myself too seriously. It's a blog for heaven's sake. But whatever. I'm always up for food, so sure, dinner it was. And Whipping Girl's restaurant of choice? 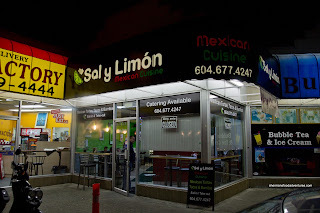 It was a place that was on my radar for awhile - Sal y Limon out on Kingsway and Fraser. 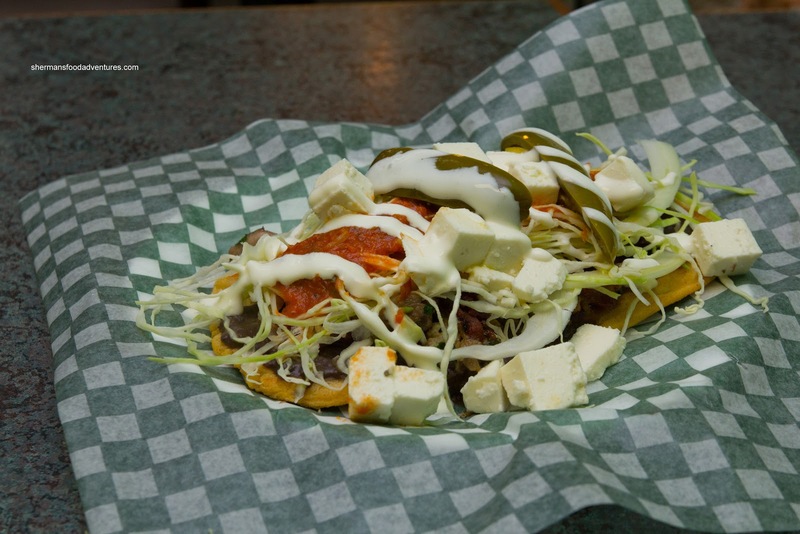 In the same complex as Ba Le, it boasts authentic Mexican cuisine in a city that is full of Taco Time and Taco Bells. Okay, okay, I realize that if the food satisfies the masses, authenticness should not be an issue. However, if people give real Mexican food a try, they'll realize what they are missing. Luckily for me, Whipping Girl, Mosquito and Mr. Bunz love to eat, so we ordered at least one item from each category on the menu. We started with the Cordero al Cilantro Hurache, which is fried masa topped with, in this case, lamb cooked in cilantro pesto, shredded cabbage and queso fresco. First off, the fried masa base was super crunchy. The lamb was a touch dry, yet flavourful from the cilantro and good char. 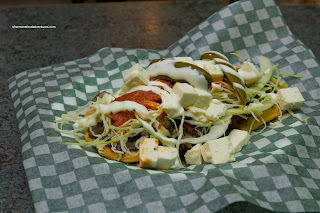 The fresh crisp cabbage lightened up the dish as well as the cool crumbly queso fresco. 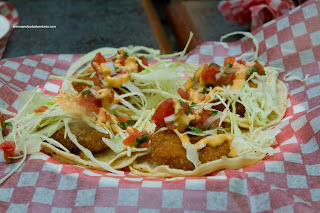 What we had next was probably the highlight of our meal being the Shrimp Tacos. 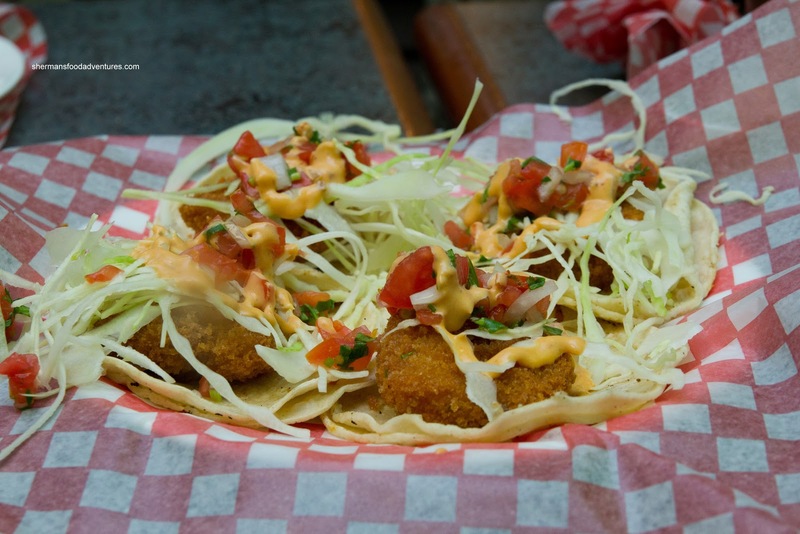 Nestled on top of 2 corn tortillas was one large fried shrimp. It was really crunchy while there was a nice snap. There was a slight spice from the aioli on top as well as a freshness from the cabbage and salsa. 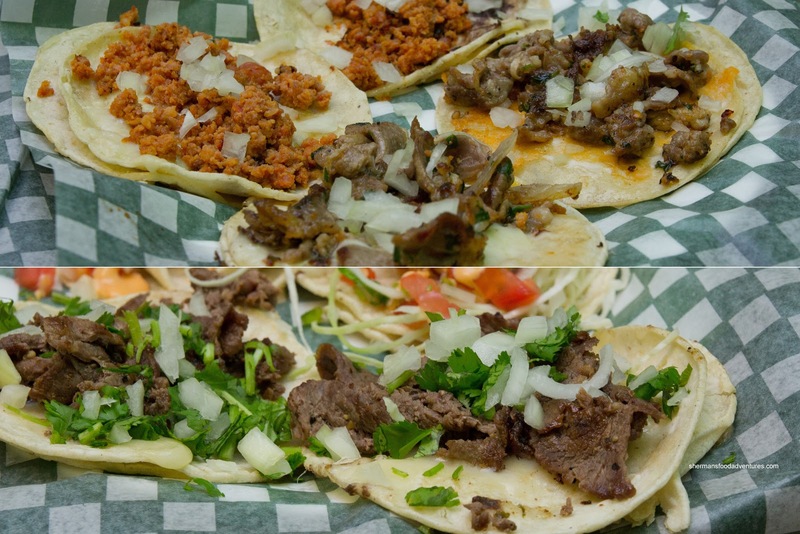 In addition, we got 2 each of the Chorizo, Cordero al Cilantro and Carne Asada Tacos. We found the chorizo dry with a meaty texture and a touch salty. The lamb was very similar to the hurache where it was dry. The carne asada was more moist with good caramelization of flavours. As with all of the tacos, the tortilla could've stood to be less dry as well. Moving along, we tried the Al Pastor Torta which was fairly large stuffed with moist pork. We found the bread a bit too soft, but in the end, there was plenty of filling and it was a pleasant sandwich. 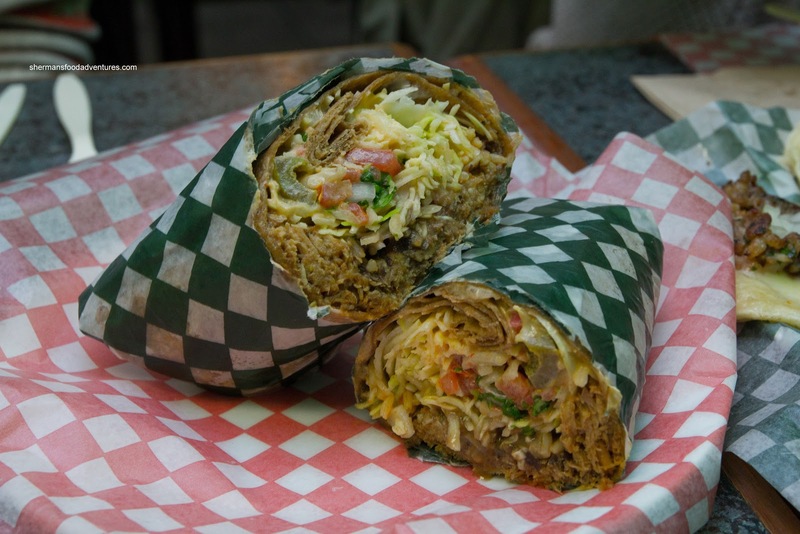 Continuing our tour of the menu, we had the Pierna Burrito (pulled pork). 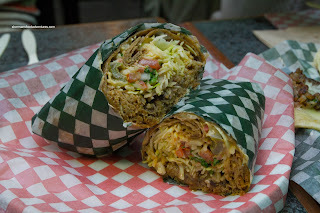 Despite the visuals, the burrito wasn't exactly bursting with filling, yet it wasn't exactly sparse either. I guess this was a whole lot better than being too dense. We found the pulled pork to decently moist, but really salty. The tortilla was slightly moist and gummy. At this point, we were officially experiencing simultaneous food comas. Therefore, I got up, went to the counter and... ordered more food! Take that Mijune! I actually went to get more of the fantastic shrimp tacos - one for each of us. AND to try the last section of the menu we didn't touch, which was the Taquitos Dorados. No, not the one you'd find in the freezer section of your local supermarket. These ones were freakin' huge! I got one each of the chorizo & potato and eggplant & potato. These suckers were fried crisp and filled with moist ingredients (except for the dry chorizo). Hence, I preferred the eggplant one more. 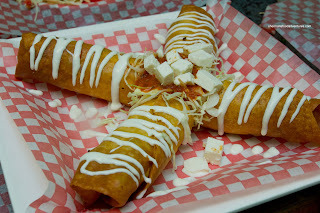 There was a mild level of spice and the queso fresco was a refreshing balance to the fried taquito. 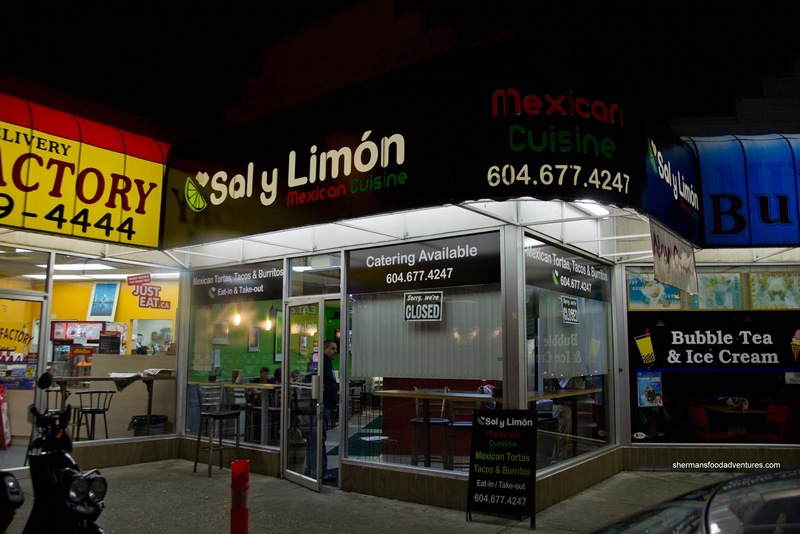 Although this was not the best Mexican food I've ever had, it is some of the best I've had in Vancouver. 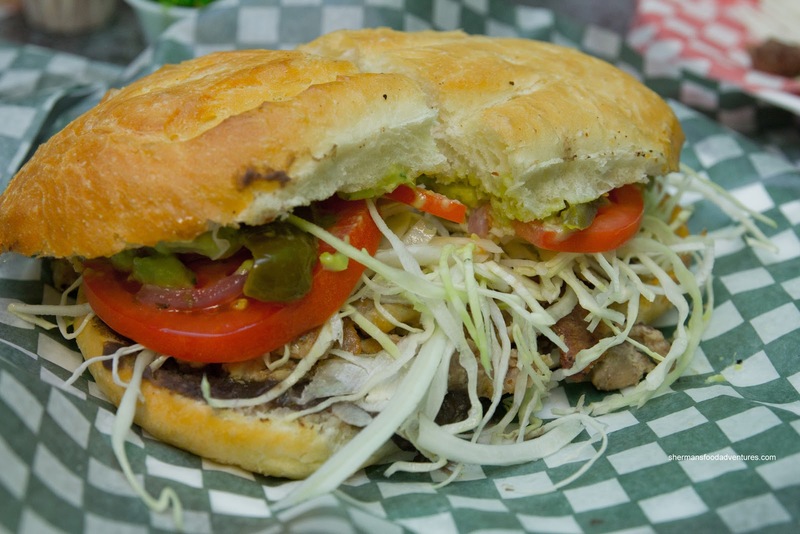 For a city that doesn't have a whole lot of authentic Mexican cuisine, that is good enough.